Apologies that there was no blog on Friday. We were on the boat all day Friday and Saturday. The past couple of days were very busy with final preparations. A friend of mine, Noel and Nuala’s sister, Kate helped us. We could not have done it without them, so a big thanks to them! We have steam cleaned all the internal cushions, beds and carpets. We have taken down all the curtains, washed and ironed them. The teak decks have been treated with teak oil (two coats and they are going to need at least one more) but they are starting to look great. The only real problem we are having is getting the mildew from the canopy. We have tried three bottles of recommended canopy cleaner (at €17 per bottle) and Noel wore himself out washing and scrubbing but while it is a lot better than it was, it is still not mildew free. So we have put the canopy back up and hopefully the sun in France will sort it! 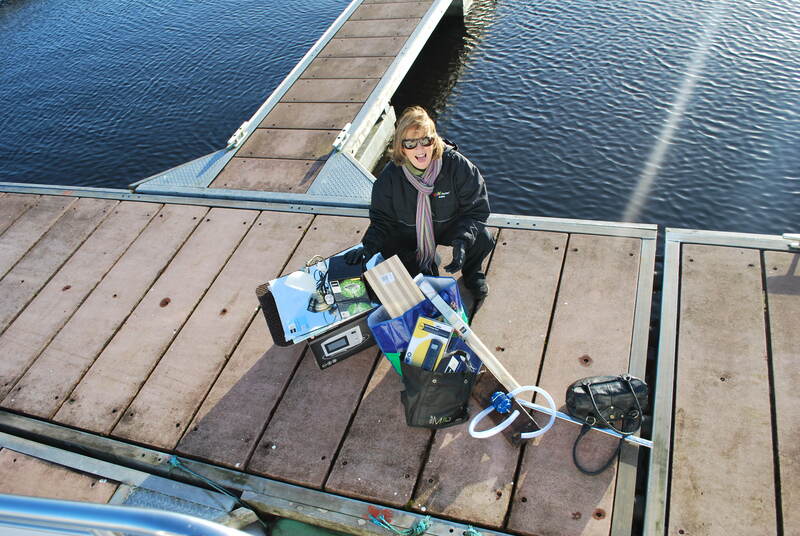 The engineer came and dewinterised the boat. It was amazing the engine started on the first turn of the key, as it had been silent for four months. 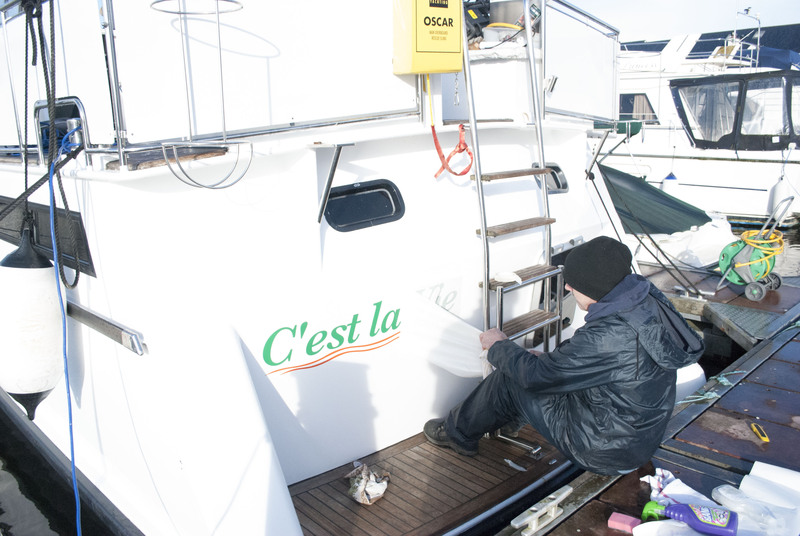 We started to fit the new name to the boat, (I am doing it myself to save money). As you can see the name on the back of the boat looks great and I am very pleased with our handy work . However, I now have to turn the boat around so I can fit the name on both sides of the bow. Then a bit of a disaster happened. As we were eating our well-earned Chinese takeaway on Saturday evening, the shore electric power went off. I reset the trip switch and it kept cutting off. After checking all the electrics and taking up the floor boards I discovered that the power convertor had failed. (This is the “brain” that manages all the electrical systems on the boat). So today Monday is going to be spent investigating what is wrong with it and how much it will cost to fix it. This could be expensive as a new convertor is around €2000!! Hopefully, I will get it sorted. Then we will be ready for new river trials on the Shannon over the next two weeks, before I depart for Dover on the 25th March. I have to be sure everything is working correctly before I tackle the English Channel…. 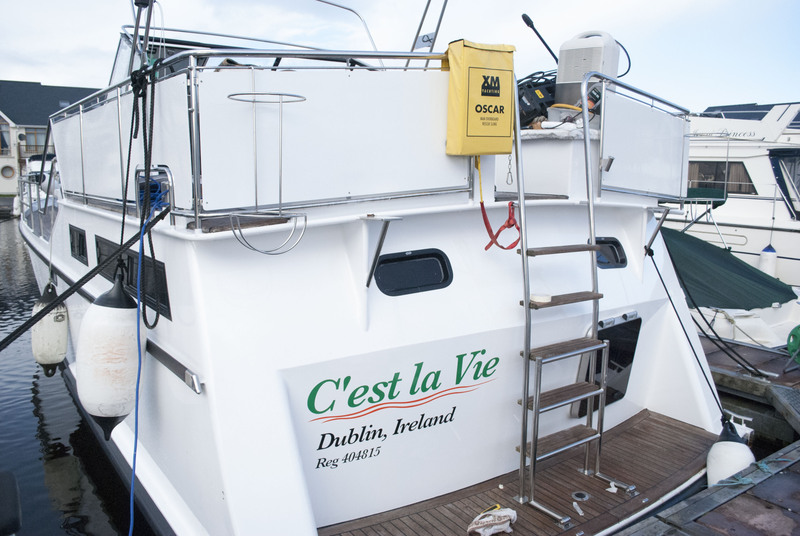 This entry was posted in C'est La Vie - The Boat, Getting Ready for Gap Year and tagged getting the boat ready. Bookmark the permalink.